The learning activities in this short course will give you (the students) the opportunity to complete three units from the Certificates in General Education for Adults in studying and engaging with/creating texts at Cert I/II/III (depending on the Certificate level of the enrolment). The course will be short and intensive to get you into the habit of studying so it is easier for you to complete the rest of your CGEA online. It will be delivered online using virtual classroom (BlackboardCollaborate) as the main place for learning with students and lecturer together in the virtual classroom. 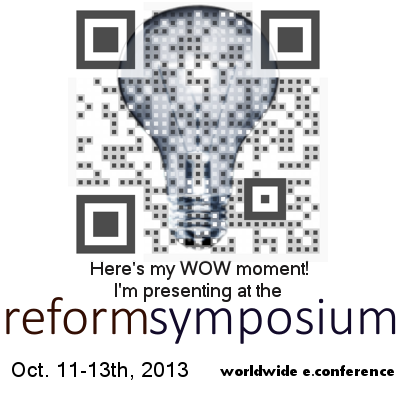 We will be doing mostly something called “action learning. You (the students) will use a range of Web2.0 technologies (online tools and sites and this course blog) and will make your own simple media rich (with images, links and other media) e-portfolios using blogs. For extra help with the “nuts and bolts” of reading and writing students will be able to log in to the full CGEA course website to use the learning resources on the Institute Learning Management System. The course is set up so that all the work you do and post to your blog is part of your evidence for your units – your e-portfolio. This means that you will be “showcasing” your skills in reading and writing, and your understanding of important online issues like digital safety, respect and copyright on your blog. Your blog is a great opportunity to show others the great things that you can do! A lot of people nowadays use their blogs as a sort of online resume and a place to put things that they might like to show a future employer. 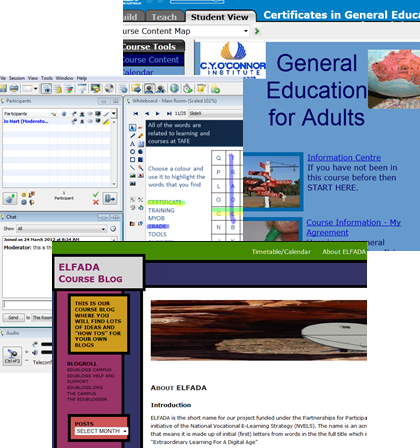 We hope you will enjoy th ELFADA course and that you will find your blog useful not just during ELFADA and the rest of your CGEA online course but on into your future as a learner. A challenging and exciting project. I am sure to learn many things. I look forward to being involved as lecturer and learner. Are you still updating blogs.cyoc.wa.edu.au? I found a broken link I’d like to point out. Haven’t updated for some time but am now planning to.